The Federal Government has confirmed the release of 104 Dapchi schoolgirls abducted by Boko Haram terrorists on February 19 in Yobe State. 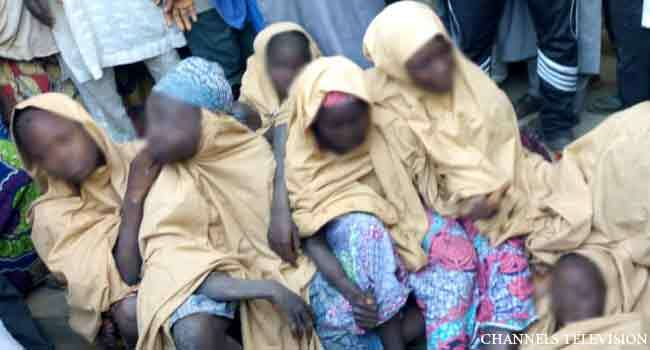 Minister of Information and Culture, Mr Lai Mohammed, confirmed the number on Wednesday, following initial figures of 76 girls, 91 girls and one boy, as well as 101 girls and one boy. The parents of the missing girls and residents of the community have been celebrating the return of their children, more than four weeks after they were abducted from the Government Girls Science and Technical College, Dapchi. Unfortunately, at least two of the girls are reported to have died as a result of the trauma while one of them was not released. But the minister did not confirm this. In a statement signed by his media aide Segun Adeyemi, Mr Mohammed explained that girls’ release followed the directive by President Muhammadu Buhari to all security agencies to do everything possible to secure the release of the Dapchi schoolgirls. On the circumstance surrounding the girls’ return, he said the government chose a non-violent approach with an understanding that violence and confrontation would not be the way out. “Within the period when the girls were being brought back, operational pause was observed in certain areas to ensure free passage and also that lives were not lost,” the minister said. On Monday last week, President Buhari had told Mr Rex Tillerson, the U.S. Secretary of State who was sacked recently, that the government had chosen negotiation to secure the return of the girls rather than use military force. Barely four days before the girls were released, the Minister of Defence Mansur Dan-Ali had also given a hint that troops were already closing in on the girls and their abductors.